With a dedicated team of specialist light metal fabricators and quality, modern machinery. Sefton Construction is well equipped to undertake a wide variety of industrial and commercial projects. Mandrel (pipe) Bending Machine, capable of bending Stainless Steel, Galvanised Metal, Aluminium, Mild Steel, for a wide variety of uses including, balustrades, gates, handrails, vehicle exhausts, bull bars, tow bars, protection railing. 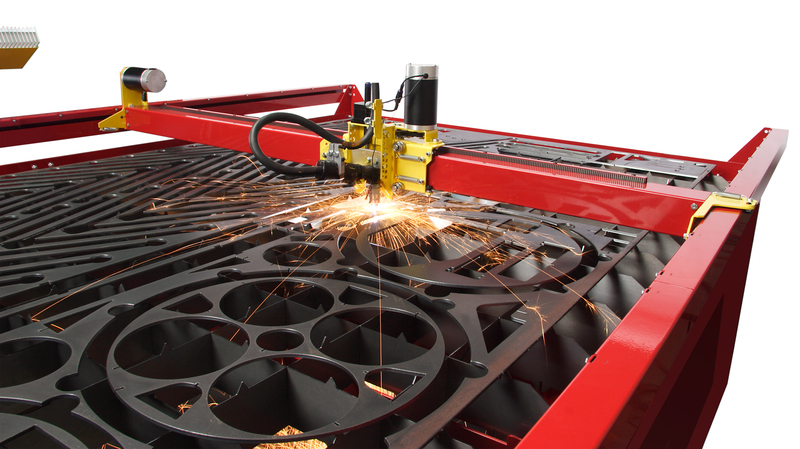 High Performance Robotic CNC Plasma Cutter capable of cutting Stainless Steel, Aluminium, Copper, Galvanised Steel up to 20mm thickness into intricate and detailed shapes. Brake Press capable of bending large size plate and sheet metal. Hydraulic Punch and Shear Machine capable of fast and efficient output. Guillotine for cutting large sheet and plate metal.